Steve received his B.S. degree in Psychology from the University of San Francisco where he was also a finalist for the Johnny Bench award as the nations top collegiate catcher. He was drafted by the Cincinnati Reds in the 9th round of the June 2002 MLB amateur draft, and played minor league baseball for 5 years. 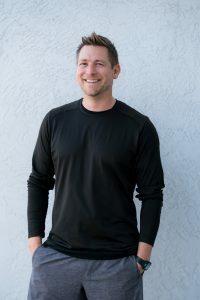 Upon completing his degree in 2006, Steve began working with athletes, executives, and everyday people to develop their strength, conditioning, flexibility, and overall well-being. Educating is his passion as he is completing his teaching credential while working full time as a trainer and coach. Steve touts notable local talents Kyle Zimmer (1st round pick 2012 Royals), Bradley Zimmer (23rd round 2011Cubs), and Jose Vizcaino Jr. (36th round 2012 Dodgers) as “projects” that have excelled through hard work to achieve their goals. Favorite Food: Low sugar, high fiber cereal with egg white protein mixed with water as milk substitute. Travis strives to make exercise fun by having an upbeat/motivating style of training. 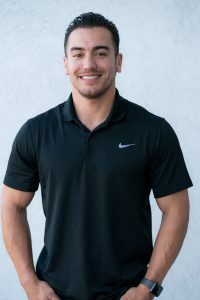 He is dedicated to assisting his personal training clients achieve every fitness goal through progressions of their individualized workout plan. 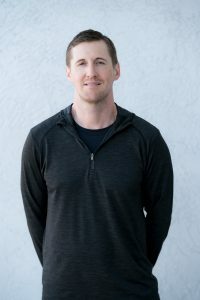 Travis enjoys working with a wide range of people: from health seekers trying to improve their overall fitness, to elite, competitive athletes. Currently ranked in the top 15 for USA Olympic Style Weightlifting 85kg class. During training sessions, he likes to go by the three P’s: Persistence, Patience, and Positivity! Jaimie received her B.S. in Kinesiology with an emphasis in Health Science from California State University of San Marcos. She was recognized for distinguished service from the Kinesiology department for contributing in multiple health related events on campus as well as playing a large roll in the American Cancer Society’s Relay for Life. Post graduation Jaimie became a personal trainer with the goal to change lives through fitness. Developing relationships and creating programs based on individual goals is a passion of hers, through functional training, stability and core training she gives her clients the tools to be successful. Jaimie has seen success with many of her clients and is a huge advocate for healthy living. Exercise is not only a benefit for the body but also the mind; she has worked with individuals going through cancer treatments, anxiety disorders, pre and postnatal, as well as autoimmune and thyroid disorders. Clients have seen amazing results in and outside of the gym through their hard work and dedication. 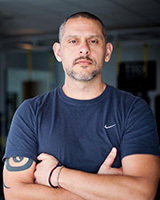 De Shawn is a highly respected expert in personal training, pre/post rehab, and sports performance training. 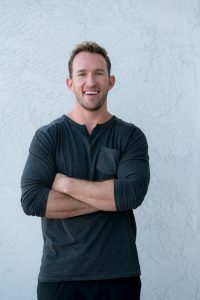 He specializes in achieving body transformations for people who have special events coming up in their lives or just plain need to lose weight and get in shape. 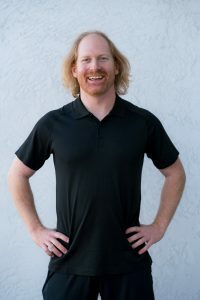 De Shawn has been continuing his education since 2000 in the areas of wellness, weight loss, exercise, performance enhancement, and he continues to create innovative workout methods that allow clients to lose weight and empower each and everyone of his clients/athletes to perform at there highest expectations and beyond. 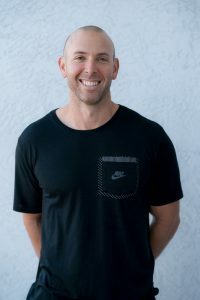 With a bachelor’s degree from San Diego State University with an emphasis in Physical Therapy, De Shawn is a Certified Strength & Conditioning Specialist (CSCS) that has been a strength and conditioning coach at the collegiate level. As a CSCS, he has had the opportunity to work with a lot of great collegiate and professional athletes from all sports. 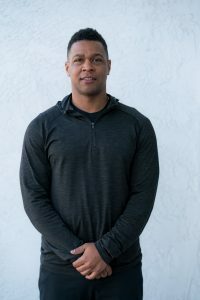 De Shawn holds a number of Sports Performance and NFL Combine Training camps during the summer to help his athletes better themselves and gain an edge over their competition. 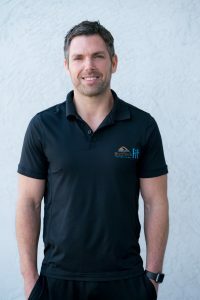 It doesn’t matter if you are a regular average Joe or an elite athlete; De Shawn has a way of bringing out the best in people through his personality and commitment to his clients. Justine received her BFA in dance performance at Marygrove College in Detroit. She has taught dance for 9 years and danced professionally with the Detroit Dance Collective.. She has been featured on Fox 5 News for workout Wednesday news segments as well as in San Diego Magazine and Riviera Magazine. 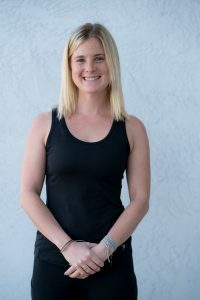 Justine’s knowledge in personal training and dance are not what make her a unique coach. She finds importance in creating personal connections with the people around her. She has a positive, energetic outlook on life and she strives to encourage others to do the same. Her workouts can be tough but are often filled with laughter. 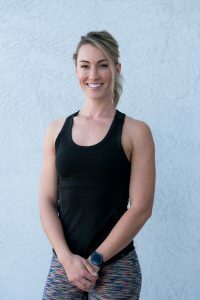 She strongly believes that a healthy lifestyle does not solely consist of the physical, but rather a well-rounded connection between mind and body. She focuses on building a program personally to meet your goals incorporating balance, alignment, flexibility, functional strength, circuit training or body fat reduction just new name a few. Justine understands the obstacles of a busy schedule! Through meal planning and creative workout solutions, she can show you how small, consistent changes can lead to lasting results. 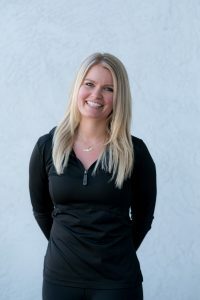 Aside from coaching, Justine enjoys spending time with her husband Danny and Jack Russell Billa, relaxing at the beach, hiking and visiting family and loved ones. She is currently keeping up with her passion for dance taking classes at Malashock Dance in Point Loma. My name is Ashley I have been coaching and training clients for almost 10 years. I started coaching group classes: Pilates, Water Aerobics, and Spin Classes in 2008 at SDSU. I graduated from SDSU with a degree Kineseology. Since then I have gone on to truly enjoy the process of helping people fall in love with their fitness journey in all spectrums. I coached Crossfit and Olympic weightlifting for 3.5 years. Currently I do one on one training, and have clients that I coach in performance training, weightlifting, boxing and kickboxing. Looking forward to meeting you and working together to reach your goals! Hometown: Los Osos, California [coastal town near San Luis Obispo]. Favorite Food for Fuel: Apple slices with peanut butter. Favorite Quote: “Nothing great was ever achieved without enthusiasm!” -Ralph Waldo Emerson. Best Music to workout to: Pop/Dance music with a good tempo. Ideal Workout: High Intensity Training: strength and cardio utilizing intervals – forcing myself to ‘push until I can’t & rest until I can’. Why you think the 30 minute model works: Not only is the 30 minute Metabolic Effect Workout both efficient and effective, it is tailored to fit each individual’s fitness level by allowing each person to choose when and for how long to rest during the workout. Scientific studies have shown that hormonal responses in the body are triggered by combining heavy weight, high intensity, full body, muscle training with sprint segments to push one’s muscles to fatigue and then resting until the muscles are ready to work again. One of the best parts is that this is achieved in only 30 minutes and your body continues to burn fat and calories even after you leave the fitness studio! My increased energy levels have inspired me to make the conscious eating habits necessary to get the maximum benefit from each workout and my biggest “complaint” is that I had to go shopping for new pants in a smaller size because my old ones no longer fit!